I finished the 90km du Mont Blanc in 22 hours and 29 minutes, ranking 564th out of 1,142 entrants (49th percentile), and 677 finishers (83rd percentile). In my category (males 50 to 59 years) I was 64th out of 170 entrants (38th percentile), and 75 finishers (85th percentile). 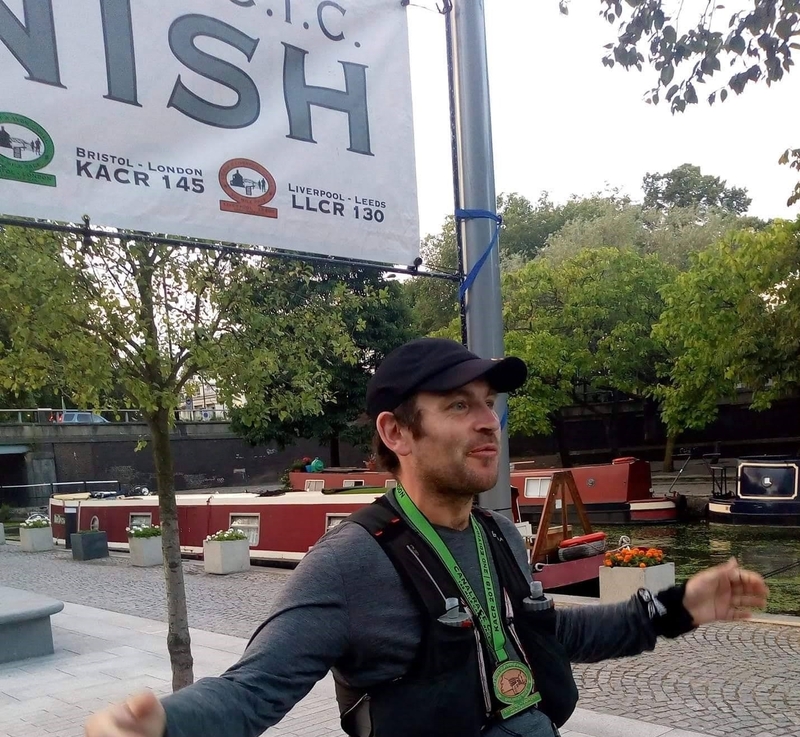 I would not consider this a particularly impressive performance, but given that I spent a third of the race genuinely concerned that I might not finish at all, in the end it is a result that I am fairly happy with. 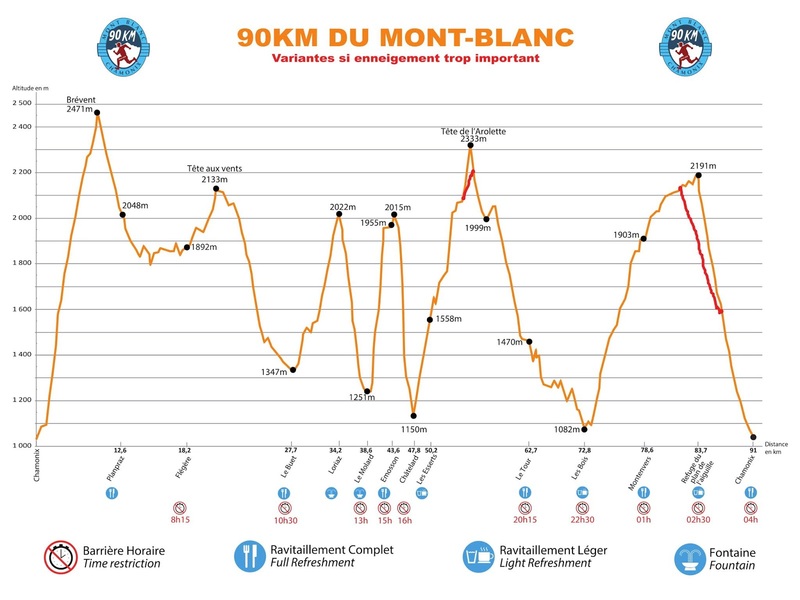 The MB90k is part of the Marathon du Mont Blanc trail running festival which runs for a week in Chamonix at the end of June. The Marathon itself is a highly prestigious race attracting the cream of international trail runners – Kilian Jornet won this year’s event once again. Although less high-profile than the 42km, the 90km race is the longest of the week. 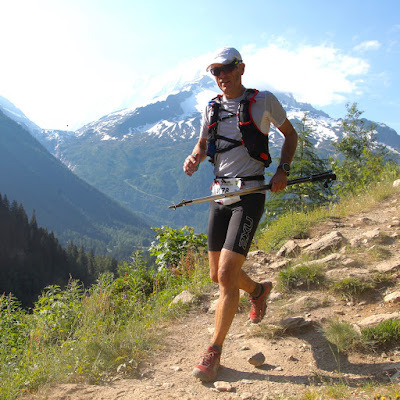 Having already been part of the other two major trail running events in Chamonix – the Trail des Aiguilles Rouges in 2015 and the Courmayeur-Champex-Chamonix (CCC, part of the UTMB week) in 2017 – it was only natural that I should want to tick off the third. 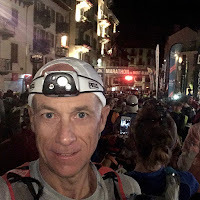 One of my challenges for this race is that it is still relatively early in the year and does not really allow me sufficient preparation time following the end of the ski season. This factor was particularly acute this year given the vast amounts of snow that fell in the Alps over the winter, meaning I was still skiing rather than running up until the end of April. Two and a bit months of training is not really sufficient, and whilst I tried to accelerate my schedule, I estimate that I was at only 80% of the fitness level I achieved prior to the CCC the previous August. Further, probably as a result of accelerating the schedule, I had developed shin splints in my left leg following a 50-mile training run (the first half of the Centurion South Downs Way 100 Miler), and this meant complete rest for the three weeks leading up to the race. 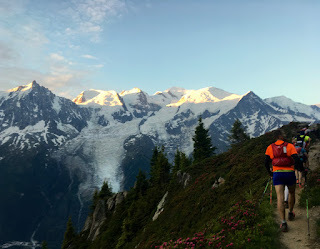 In the end the rest did its job and that the shin splints thankfully did not reoccur in Chamonix, but this also meant I lost out on the serious hill training planned for those weeks, and knew that I was slightly under-cooked coming into the race. I had targeted a 21-hour finish time (based on my CCC performance), and against this my actual time was a little disappointing. In retrospect there were times in the last third of the race when I might have pushed harder, particularly taking more risks on the steep descents, and this might have improved my time by 30-45 minutes, but by then I was just focusing on avoiding injury and getting to the finish. All in all, and given my fitness level, 22.5 hours feels respectable. The heat certainly added to the difficulty of the race. 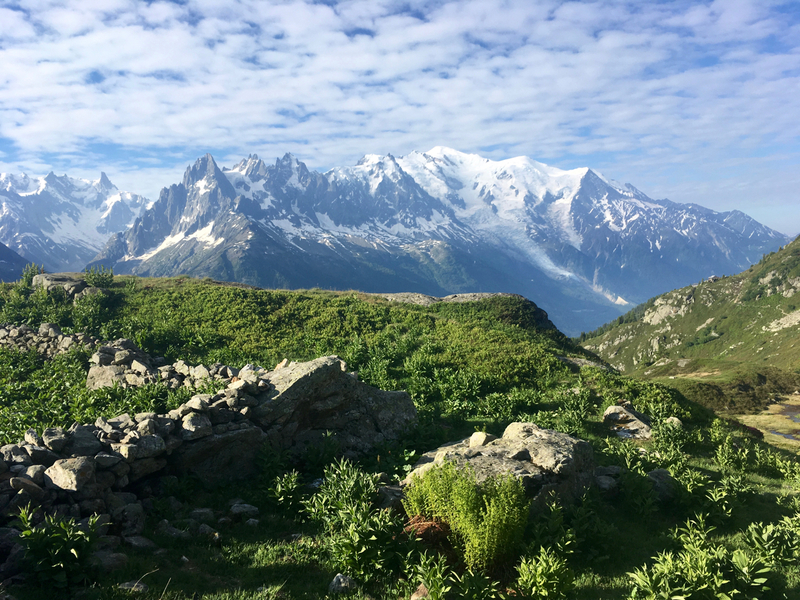 It is usual to expect warm days in the Alps at the end of June, but this week had been unusually hot with the thermometer topping out above 30 degrees on most days, and little breeze to ease the pain. 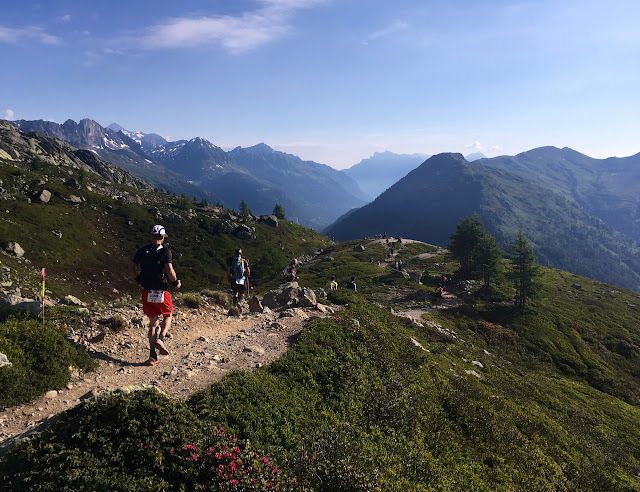 The early morning, late evening and nighttime were pleasant, but the two major climbs in the middle of the day (up to Loriaz and to Emosson) were punishingly hot. Each small patch of shade we passed would be filled with runners paused, trying to cool off. Whenever we found a stream, it would be littered with runners semi-immersed, soaking hats and buffs (and shirts in some cases), and drinking their fill. From the time that the day heated up at around 9am to when it cooled at around 6pm, I was probably drinking about a litre of water an hour, and was still massively dehydrated – I went over 15 hours without needing to pee! Strangely given the heat of the day, the conditions were also made more technical by the snowfields remaining on north-facing slopes. 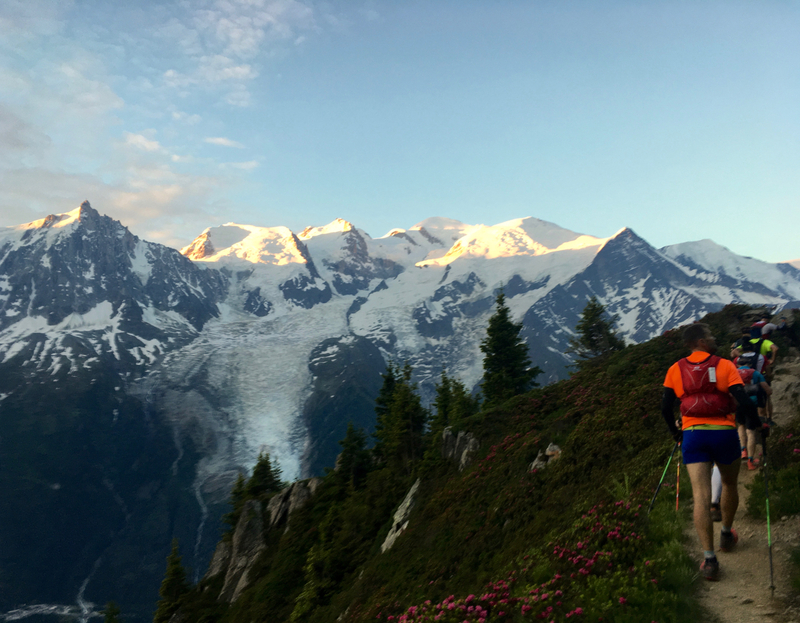 I knew firsthand that the preceding winter season had seen extraordinary amounts of snowfall in Chamonix, and was worried about how many of the trails might still have snow on them. 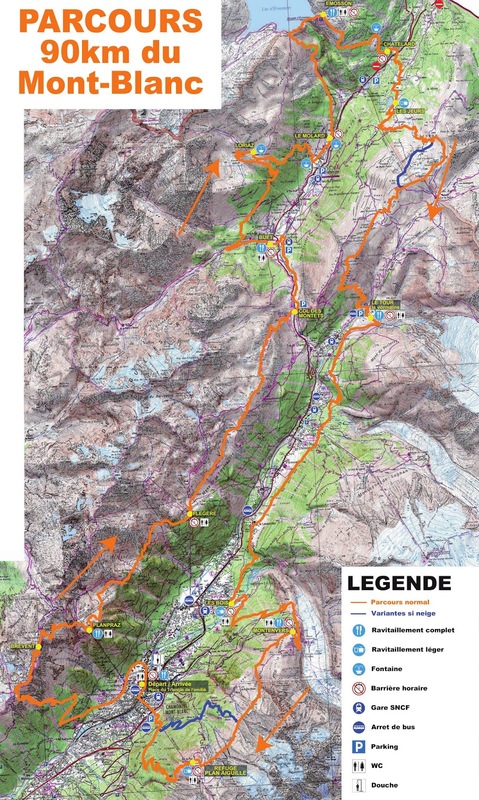 The worst affected were the slopes leading from Catogne up to L'Arolette, the highest point above the Tete de Balme in the Le Balme ski area. The race director deemed these too dangerous and so invoked the alternative route under the Tete de Balme chair lift, avoiding the peak and saving us around 150-200m of climbing (which was extremely welcome at the time!). 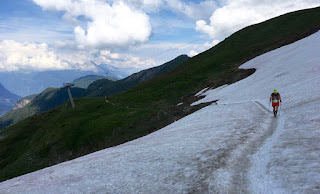 Apart from that the snowiest part of the route was the descent from Brevant to Planpraz – down the Charles Bozon black run. Maybe because of my familiarity with that piste from having skied it many times, I absolutely loved it and flew down overtaking tens of other runners on the way. A total blast! 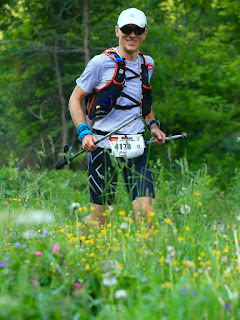 The course was a 90km-ish loop starting and finishing in Chamonix. It started with the longest single climb up to Brevant (1,370m ascent) and then undulated northwards along the Aiguilles Rouges through the Brevant-Flegere ski area, before descending into the village of Le Buet. 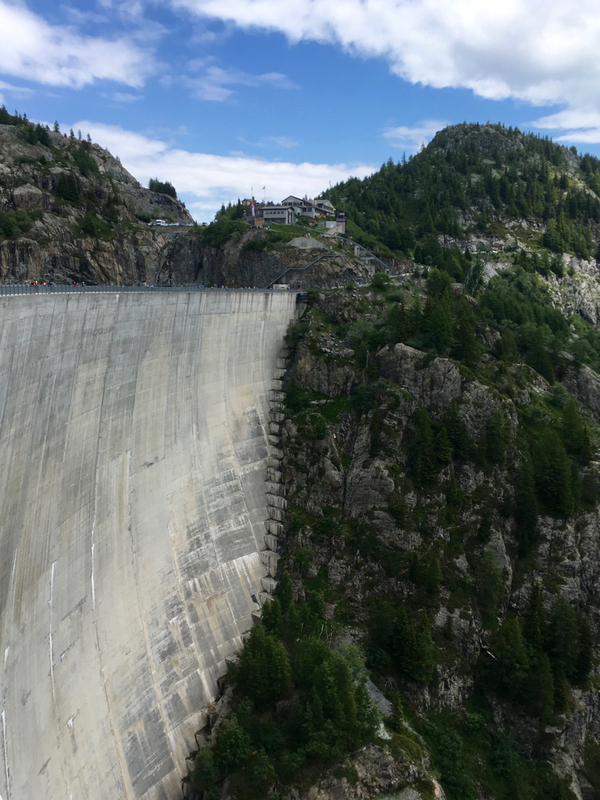 After this there were two out-and-back type climbs/descents, firstly 650m up to Chalets Loriaz, followed by a 680m jaunt up to the Emosson Dam in Switzerland. Although theoretically the smaller of the five major climbs, being in the heat of the day in my view these two were the toughest. As already mentioned, the fourth major climb to Tete de Balme was cut slightly short (“only” 970m ascent). From here the route descended into the village of Le Tour, and followed the Argentiere-Chamonix valley southwards to the next aid station near the helicopter pad at Le Bois. I know this to be just a few kilometers and 15 minutes gentle jogging to home in Chamonix, but that would be too easy. Instead we were sent on a five and a half hour detour, climbing 1,200m up to the Montenvers mountain railway station and then on to the Refuge de Plan d’Aiguille, before being allowed to head for home – a 7km, 1,200m descent into Chamonix town that feels like it goes on for ever. My GPS recorded the total distance as 92.8km with 6,200m of vertical ascent. One of the major differences between the MB90k and the CCC is the completion rate. 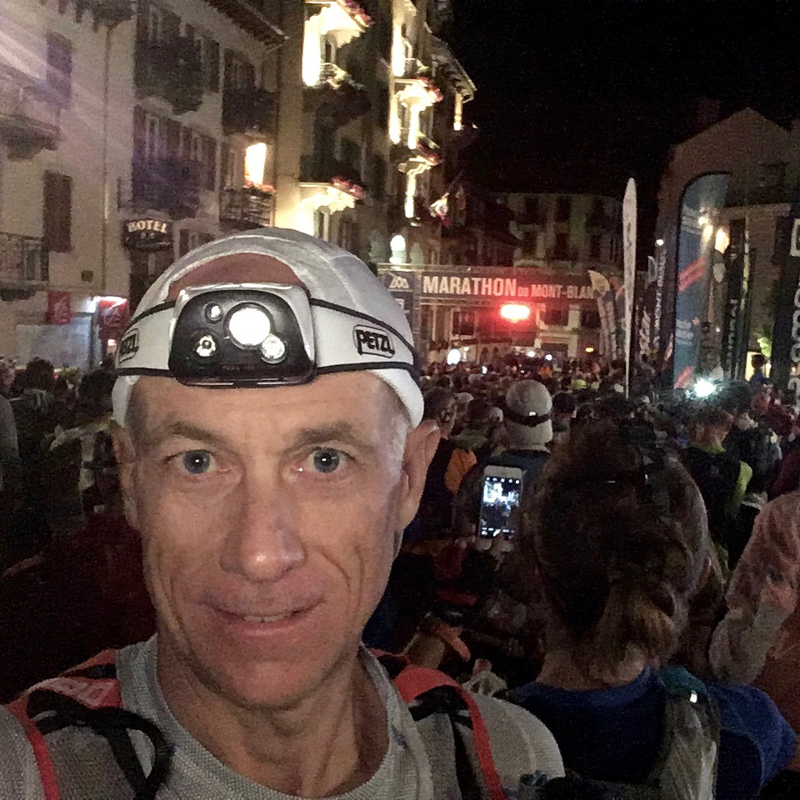 Of the 1,142 entrants to the MB90k only 677 finished by 4am Saturday morning and within the 24-hour cut-off time – a completion rate of just 59%. This was not a freak result as the completion rate in 2017 was even lower at 56%. This is significantly lower than comparative races: the CCC in 2017 was 81%, and the Trail des Aiguilles Rouges 2015 was 82%. 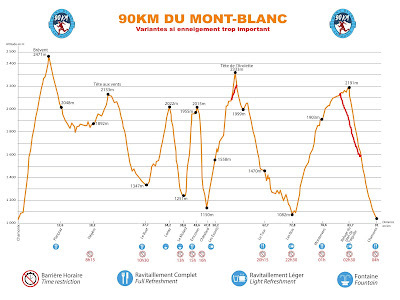 Whilst the MB90k is slightly shorter than the CCC, it is more technical, and overall I would say it was more difficult, but the major reason for the difference is that the MB90k has much more aggressive cut-off times, particularly in the first half of the race. The early cut-offs were set particularly tightly, one assumes in an effort to weed out the weaker runners with low chances of finishing. Even if I had been on my planned 21-hour schedule I would only have beaten the first 8.15am cut-off at Brevant by 45 minutes. As it turned out, there were long and frustrating queues at the start of the first climb up to Refuge Bellachat due to some fallen trees in the woods. I estimated that this blockage cost me about 20 minutes, and whilst I was feeling strong and overtook as many as possible given the precipitously narrow path, I was 15 minutes behind schedule at Brevant and only 30 minutes clear of the cut-off – a little too close for comfort. In an effort to give myself greater margin for error, I ran the next section hard and reached Le Buet around 60 minutes clear of the cut-off. As it turned out I really needed that extra margin because as the day began to warm I went through a really low period that lasted about 4 hours. I usually consider climbing to be a comparative strength (making up for being slow on the downhill), so it was deeply dispiriting to feel totally spent on the Loriaz climb with what seemed like a 100 other competitors leaving me in their dust. 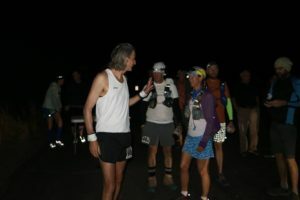 I knew my fatigue levels were high when I nearly took a wrong turn as we left the water station at the top – fortunately another runner called me back. 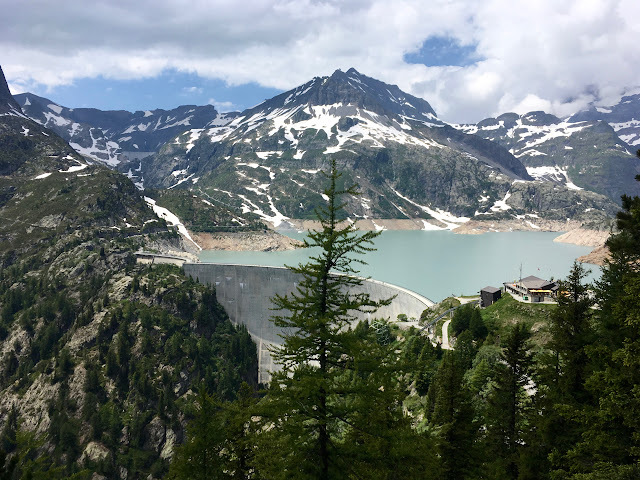 I have already mentioned the next climb to Emosson was brutal – 2 hours of pain – but whilst everyone was finding it hard I was not used to having to stop every 15 minutes to cool off and get my breath back. Usually I prefer steady consistent climbing rates, and I knew I was really struggling. Reaching the Emosson Dam aid station I had to stop for far longer than I had planned – to rehydrate, cool off and sort out my badly cramped legs – and I left that aid station only 30 minutes ahead of the cut-off. I was now desperately worried that I was going to get timed out. I usually have a very positive mental attitude, and even in the worst times in previous races I always “knew” inside that I could or would finish. But now I genuinely thought that I was not going to make it. 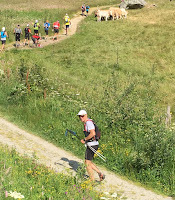 That I did make it to the finish ahead of the dreaded cut-off was because (a) amazingly my climbing legs seemed to return and I felt strong again on the climb up to Tete de Balme, and (b) the bad-weather detour at the top probably saved us all 30 minutes. As a result I reached the aid station at Le Tour 90 minutes ahead of the cut-off, a margin I maintained to the finish. As I have become used to in Chamonix, this was a superbly well-organised event. Registration on the Thursday was efficient with no queues. The marshals were brilliant as ever – encouraging and considerate. There was great support along the route, and I was amazed at how many supporters got up at 4am to cheer us off. The aid stations were generally well placed and well stocked with most things that you would need, although maybe not as bountiful as the CCC, and a few of the light refreshment stations did run low towards the end. The top award went to the crew at Le Tour who riotously cheered every runner into the tent. 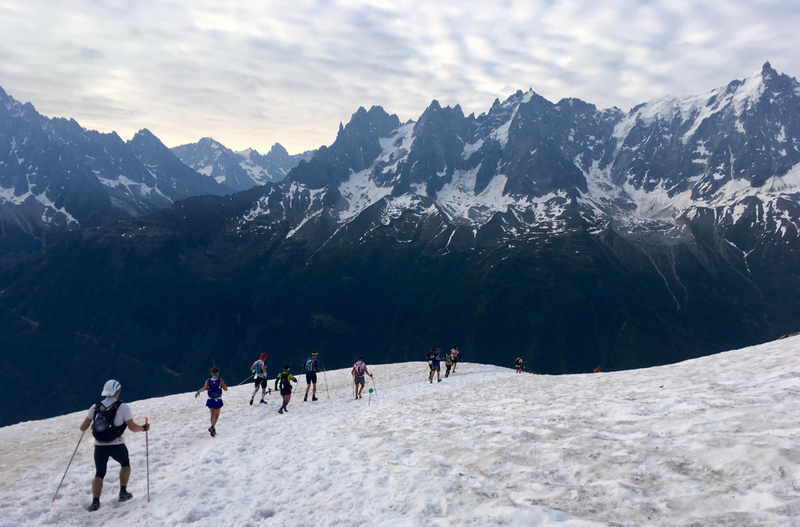 A close second were the amazing team at the last aid station at Refuge de Plan d’Aiguille who stayed up the mountain all night and were quick with offers of cups of tea and bowls of soup for the runners collapsed on the chairs they had put out. Highly commended goes to the team who put out a spray of cold water for us all to run through just above Chatelard during the heat of the afternoon – I could have stood under it for hours! 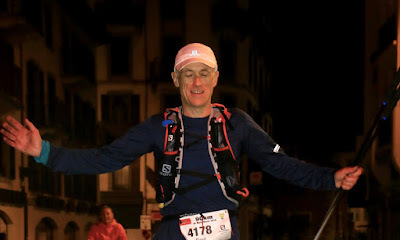 Having suffered energy lows on previous runs I was determined to maintain a regular calorie intake and religiously took one gel (or equivalent from a feed station) every hour, on the hour, from the very start. 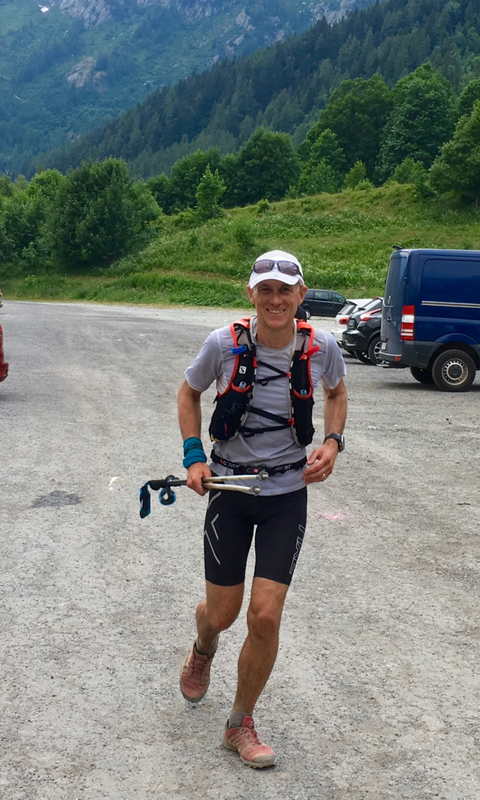 Apart from that I consumed the chicken noodle soup that Sarah had prepared and brought for me at Emosson Dam, Le Tour and Le Bois, plus assorted chocolate and fruit from the aid stations. Sarah also produced a nectarine at Le Tour which I devoured greedily – never has a fruit tasted so delicious. My nutrition appeared to work well up until Montenvers when I mistakenly drank some super concentrated squash which caused me to wretch and start throwing-up. It took me 15 minutes to recover, and I could not eat much from then on, but with only 4 hours to go it was not disastrous. I also consumed around 7 or 8 salt tablets during the day. I always carry these in my pack in case cramps come on as I find a tablet quickly solves the problem. I took my first tablet on the very steep descent to Col de Montets when the first cramps appeared. However, when I really needed them again at the top of the Loriaz climb I reached into my bag and was horrified to find I must have dropped them somewhere – a seemingly small but nearly race-ending mistake. 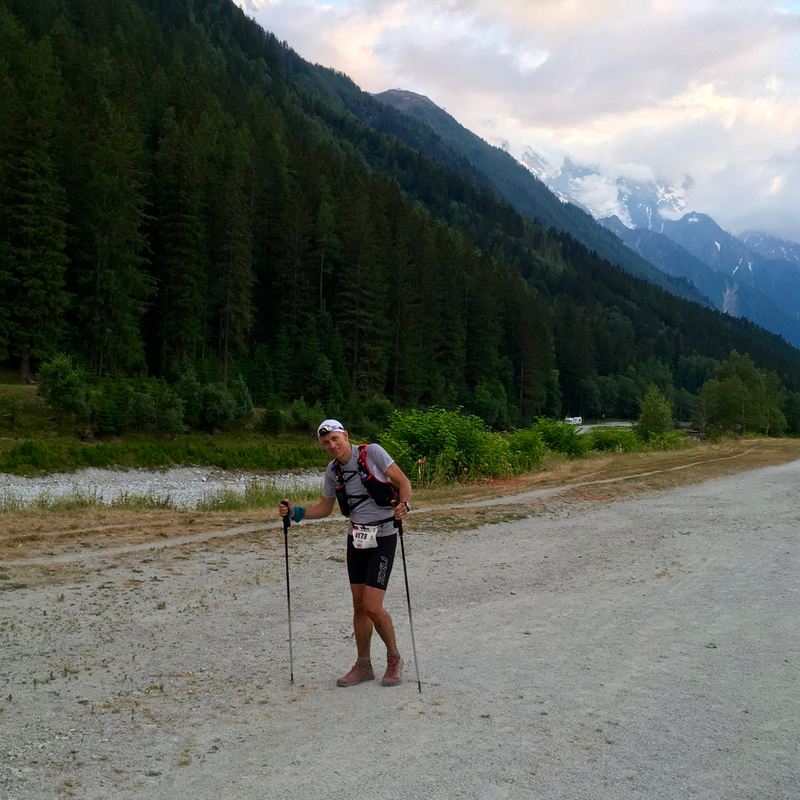 I was not able to get any more salt into my body until 3 hours later at the Emosson Dam aid station where I met Sarah with my spare supplies, and by then my cramps had completely seized both legs. A double dose, plus the salty soup, got me back on track, and from then on I managed to stabilise my salt levels and keep the cramps at bay. 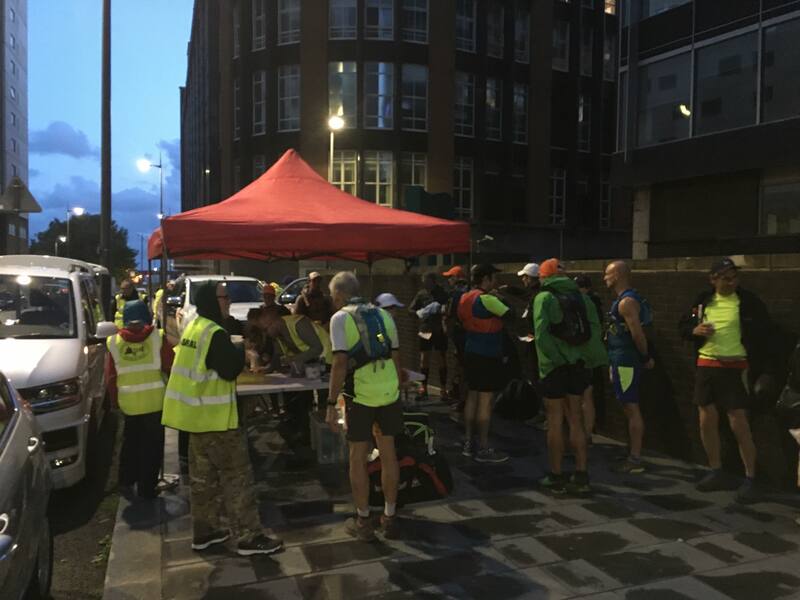 A great advantage of the MB90k route is that the major aid stations are all really well situated in places that are easy for spectators and support crew to reach you, and at times of the day that are not stupidly anti-social. Le Buet, Emosson Dam, Le Tour and Le Bois are all readily accessible by car or bus/train, and I was very lucky again to have Sarah crewing for me. She spent her day driving around the valley to support me, both with emotional encouragement and practical assistance. 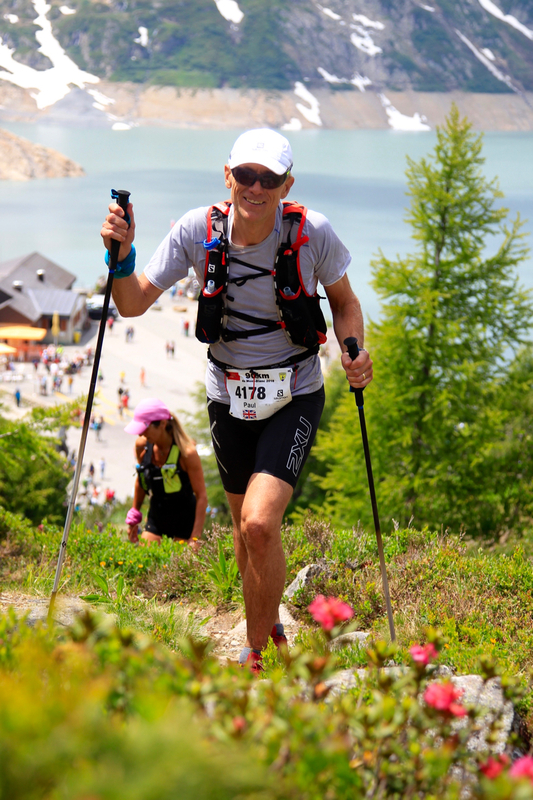 Her contribution at Emosson was responsible for keeping me in the race. She (and Blue) walked with me across the dam, and just that moral support lifted my spirits enormously. Then when I collapsed with cramp in the shade she fed me coke and soup and even changed my socks and reapplied Gurney Goo to my disgusting feet – really, that was never in the marriage vows! Having crew is not essential in this race, but I would not have made it without Sarah’s help. An analysis of the GPS data shows that I spent 100 minutes stopped in aid stations, much longer than I had scheduled based on my CCC stops, and another reason that my time was slower than hoped for. The simple fact was that I needed the recovery time, and the longest stops (20 minutes at Emosson and Le Bois, and 15 minutes at Montenvers) were sorely needed.